Welcome to clean up Mac quick tips for your Mac computer. Maintenance is a routine process and a lot of people probably can associate to this matter. It is hard to take out time to do a routine clean up and running a range of different software that do the maintenance for you. The best thing to do is to get one software that will do the job for you when your computer is idle or available. There are 5 different ways you can choose from time to time and they are very easy to follow. One of the main reasons why we face these issues is that computers tend to create a lot of clutter because they generate cache, log files and script files in the memory that slow down its processes. You can easily get rid of them when you feel your computer is getting slow. There are some basic tips that would be good to know and it has nothing to do with having a new software. The best way is to choose the last one that is very relevant and easy to scan through when you have a lot of icons. You will soon see that they all collate in order. You can also choose to sort by ‘Name’ you could do it if there are many duplicate file types. You can create folders to keep all your files in order so that it gets easier for you to search for what you need. You can create a folder from the ‘File’ menu and you can rename it. Placing files in the folder is as easy as dragging a file and placing it on the folder icon that is also called the Marquee tool. It is great to know the size of your files and apps, and that helps you prioritize your space when you clean up Mac. This app is called the Disk Inventory App which tell you what kind of files are taking up your disk space. It will not delete files for you because that action can sometimes be detrimental to your Mac. You only need to be a bit more careful when deleting files, but usually after some time you usually know which files you do not need. For example, audio files are commonly songs or recordings and you would know about them already. Likewise, movies are video files that also take up a lot of space. You can then go here and then select the software that is relevant to your version. Once you have downloaded the file, just drag is to your ‘Applications’ which you can find from the ‘Finder’ icon and then you can run it like any other app. You will not find this application on the ‘App Store’. Once you run this application, you can select the checkboxes, which seem unimportant to you and then run ‘Execute’. The more checkboxes you tick, the more disk space will be made and your Mac will get faster. ‘Aliases’ these are shortcut to files which can be useful. If you are not using Aliases anymore then it is best to remove them to minimize clutter. DMG files. These files come along with new applications before installing. Once you have installed an application like Firefox, then you will no longer need them and you can delete them. Empty folders. If you find a folder that has no files in it, you can easily delete them because they are no good on their own. 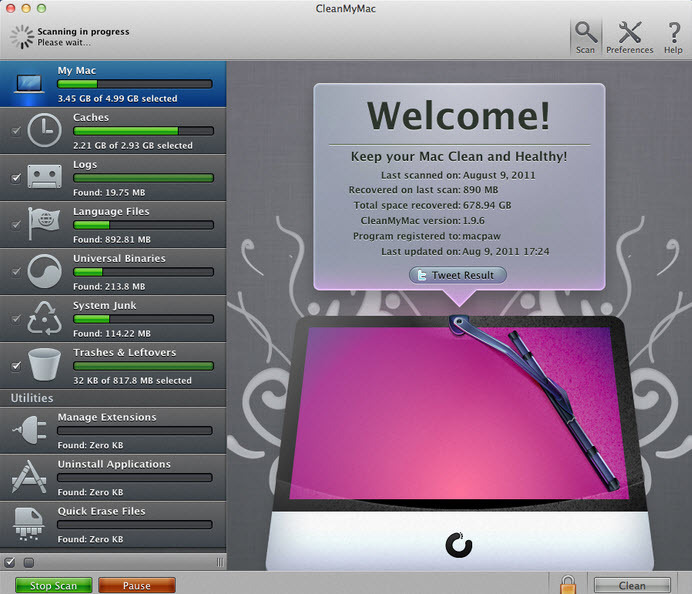 You will also find some other apps like MacKeeper and Onyx Mac that will help clean up Mac. If you ever want to uninstall these then you can use an AppCleaner or similar Mac cleaner software.